Bucknam & Associates was recently awarded a three (3)-yr extension to the Pavement Management program for John Wayne Airport (JWA). Bucknam & Associates began the management of the PMP at John Wayne in 2007 and will now be serving JWA through 2014. 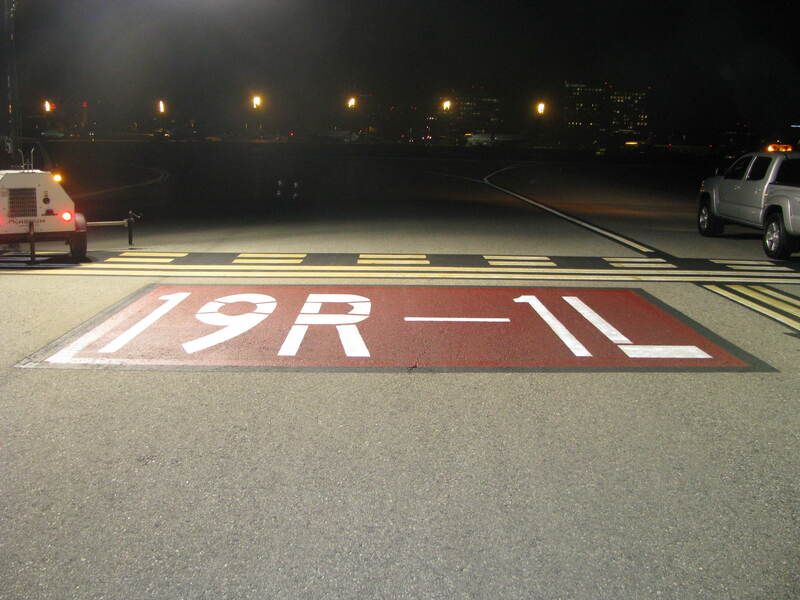 Over the past several years our staff implemented a turn-key pavement management project for JWA where we inspected the entire facility and its off-site parking lots for FAA compliance. We established a detailed JWA - GIS Pavement Management link between the JWA GIS and MicroPAVER. This project is part of our three-year infrastructure management contract (2010-2013). Our project is comprehensive and in-tune with the City's GIS and infrastructure management goals. Our Project Manager, Mr. Peter Bucknam, also serves as the City's Infrastructure Management / GIS Program Manager where our team will conduct quarterly GIS management meetings. This will ensure that all Infrastructure Management / GIS projects (internal and external) are on task and compliant with the GIS Enterprise. Bucknam & Associates has been awarded a Public Works / Engineering contract where our Infrastructure Management team will be performing "record retention" services. Our staff will be scanning vital Engineering CIP plans and as-builts in order to build a cornerstone Scanning Database within the City's Laserfiche document management system. This project will serve as a baseline for future scanning, document management and eventual tie-in with the City's GIS program.